Things don't always go to plan, but Heather sees the bright side this week. So as I said in my last post, I’ve entered us for a one-day event and we’re fully in preparation mode. 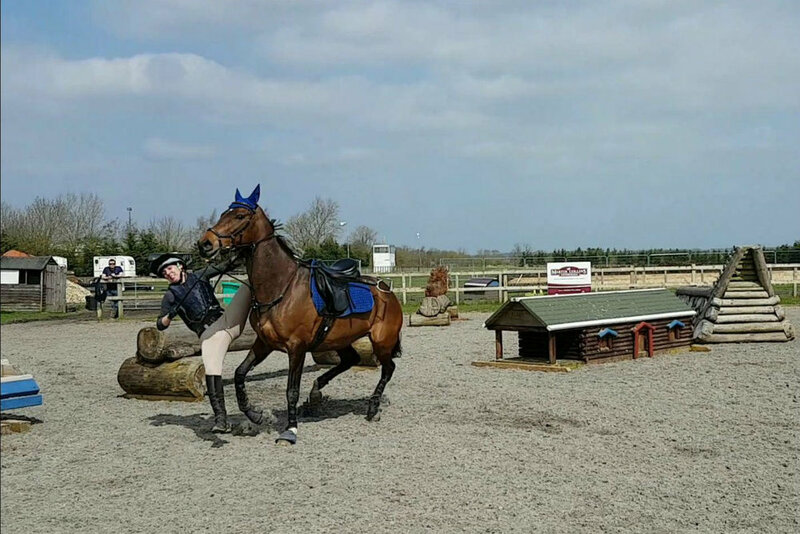 Part of that was a group trip to Keysoe with Rachel, Phoebe and a few other members of our training group for our first go at British Showjumping and a play over the cross country fences. It went really well! 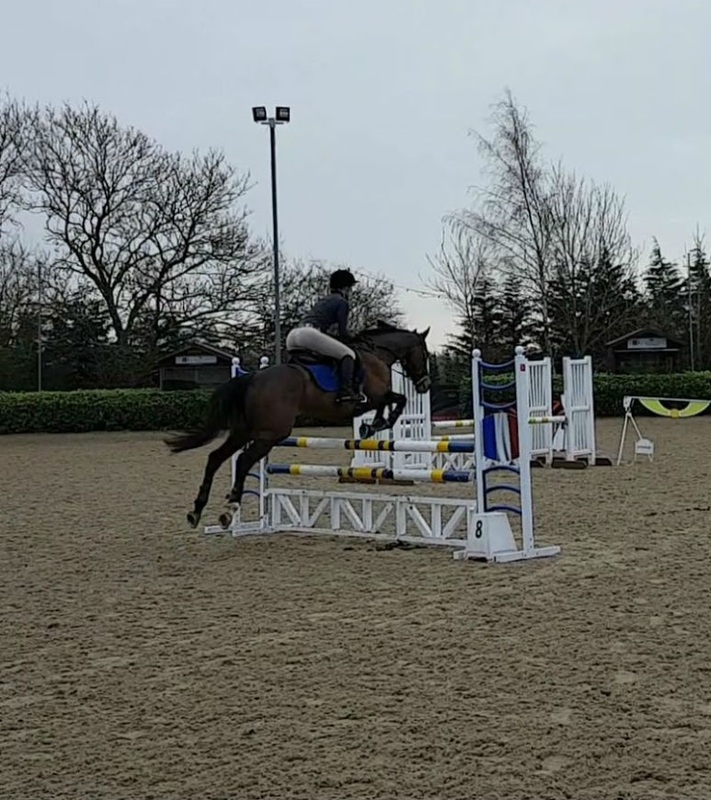 We had two rounds, and although neither were clear, the feeling Socks gave me was so fantastic - forward, enthusiastic and confident - that I was over the moon anyway. In the first round we turned to fence three, a big oxer, and I think it took Socks by surprise a bit, so she backed off. So I gave her a little tap with my whip to get her forward again, and her reaction could only be translated as: “MUUUM, I can’t BELIEVE you just hit me!! I was going!” and so we had to circle round and try again. No such issues for the rest of our rounds, though, just sadly having the last down in our second round. After our round I was helping some of the other members of our group and I turned round to see none other than Tina (Sock's former owner), which was a nice surprise! When we’d all finished show jumping, it was time for cross country. Now, I know the name of this post will suggest that this didn’t go so well, but you’ll have to read on to see what I mean when I say it was really positive. We warmed up really nicely, Socks taking me forward just as she had in the morning. It just took one waver from me when we started working proper, and it all went a little bit pear-shaped. I got my line completely wrong and took my leg off for a split second too long, because my line was so wrong that I doubted I’d even aimed Socks at the right fence. We made it to the fence, I folded, and Socks stopped. I ended up on her neck, which is a first. Then I ended up on the floor, which is not a first. I’m sharing this with you all because I thought it was hilarious when I first saw it! But now onto the reason it was positive – I didn’t get nervous. I’d made a mistake, I knew why it happened, and as soon as my lower back stopped smarting and I could stand up, I was raring to give it another go. A year ago that would've been unheard of! And although it wasn’t the only mistake I made all day - come on, none of us are perfect - it was only a small blip in what was a fab day that I gained so, so much from. I can’t thank Phoebe enough for the change in my riding since I’ve been training with her! Saying this, I was in a fair bit of pain. Luckily I was due to see Hannah, my magical osteopath the following week who gave me some ultrasound treatment and sorted me out. For once in my life, having hilariously hypermobile joints actually worked in my favour - I only tore my hip fascia a bit, when it could have been much worse. Two weeks on, and I’m all healed up and looking forward to seeing what we make of the 80cm one day event at Aston le Walls next month. Fingers crossed I’ve got some good news to tell you all next month!